A luxury two-row crossover with comfort and elegance as the primary selling points, the INFINITI QX50 will please all who take it for a test drive. Plenty of power and lots of standard features including the latest in safety technology make this model a smart buy. The 2019 QX50 adds on additional standard features as well as a refined powertrain compared to it’s previius 2017 model. Buyers will love the interior design. It’s spacious and comfortable, and there’s plenty of high-tech convenience features to enjoy. This model also rides comfortably, and it serves well both as a commuter vehicle and a long-distance hauler. 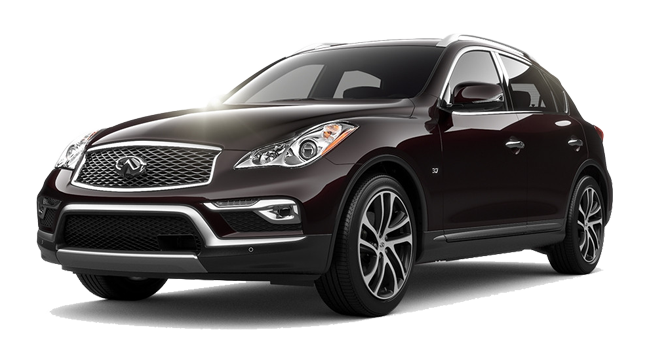 Offered in a single trim with plenty of add-on possibilities, the 2017 INFINITI QX50 is equipped with a 3.7L V6 rated at 325 horsepower. That’s a lot for a smallish SUV, so there’s no problem getting this vehicle up to freeway speed even when it’s weighted down with passengers and cargo. Engine features include a double overhead cam and 24 valves. Transmission is seven-speed shiftable automatic. Both rear-wheel and all-wheel drive are offered. The 2019 QX50 gets a refined engine that puts out only 268 horsepower, but this engine is a VC-turbo that responds far more quickly than the larger V6. It boasts automatic transformation of the compression ratio for incredible fuel savings. Transmission is XTRONIC CVT, providing smooth shifting regardless of speed or torque. The spacious cabin will have passengers feel they are inside a much larger SUV. Both the front and rear seats are cushioned and have a perfectly designed recline features. There’s a great deal of headroom and legroom inside both the 2017 and 2019 models. Standard features on the base 2017 model include steering wheel-mounted audio and cruise control, front seatback storage, interior air filtration, and all-leather upholstery. The high-tech features include a rearview camera, driver information display, and a large screen display connected to the infotainment hardware and software. The 2019 QX50 comes with the new Plasmacluster air purifier, a wonderfully designed sequential welcome lighting illuminated entry system, 12-volt power outlets in the front and rear seating areas, a six-speaker audio system, Bluetooth, and satellite radio. Add-on possibilities include a Bose stereo, a head-up display, and the INFINITI InTouch navigation system. The 2017 INFINITI QX50 comes loaded with active and passive safety systems. Front and side-curtain airbags, stability and traction control, the LATCH system of child seat anchors and tethers, dusk-sensing headlights, and emergency braking assist are all standard. The 2019 model features all of the above plus predictive forward collision warning, vehicle dynamic control, and a slide-away brake panel assembly. All in all, the 2019 QX50 boasts one of the most complete standard safety feature checklists in the automotive industry. If you’ve driven an INFINITI SUV, you already know about the luxury features and the comfortable ride. However, the new 2019 QX50 promises even more elegance than the outgoing 2017 model. 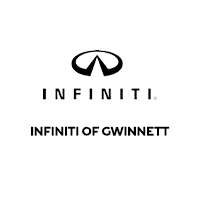 Check out the specs by visiting our online pages, and contact us here at INFINITI of Gwinnett for the latest information on arrival dates of the new 2019 models.